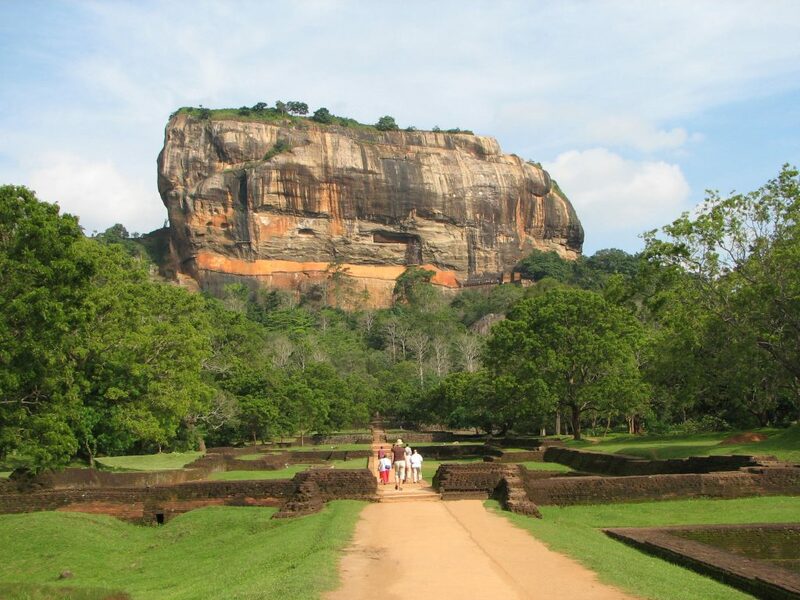 Sigiriya is one of the 7 UNESCO heritage sites in Sri Lanka and one of the main reasons it has been made a world heritage site is it houses some of the world’s most beautiful and the oldest frescoes known by mankind. In order to get an idea about the paintings, you have to know what frescoes are. Frescoes are a type of mural paintings that are painted on wet plaster made out of lime. Water is used to dilute the pigment and it also acts as a vehicle to merge the paint with plaster. What is so special about the frescoes of Sigiriya? Well, these paintings are really old! It is believed that the walls of Sigiriya were decorated with paintings of these beautiful women during the time period between 477 to 495 AD. These paintings are an outcome of meticulous craftsmanship. But unfortunately, nobody till date knows who exactly these women are! The rock fortress is located in Matale district close to the town of Dambulla, surrounded by flat plains. This rock and its paintings are of great historical importance. Towering over two hundred meters tall the beauty of this magnificent rock can be witnessed from miles afar, but the frescoes can only be seen upon visiting here. Visiting this magnificent tour destination is easy when you are stationed at any of the Sri Lanka hotels the likes of Heritance Hotels which is located at a close proximity to the fortress. You can also get here through public transport which will be much slower compared to a taxi, but this can save you money if time isn’t your concern. Previous Post The Kosgoda Turtle Hatchery – Join hands to save these marvellous creatures of the ocean! Next Post Types of Ceylon Tea – Tea, The perfect beverage!